Half-fold covers fit all popular seat cover dispensers. 250 covers per box. 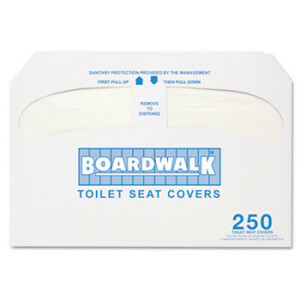 Includes ten boxes of 250 toilet seat covers each.